Insights from data help you to innovate and make smarter business decisions. Our team of data & marketing specialists provide bespoke services for businesses ranging from early-stage start-ups up to blue-chip multi-national organisations to help them not just grow faster, but smarter. Our Business Intelligence services are designed to provide you with the relevant information needed for agile and informed decision making. We pair you up with your very own Data Consultant or as we like to refer to them, Success Manager, whose role is to work alongside you and understand your objectives to be able to support your Management team with strategic views of the business, help Operations teams to drive efficiency and Sales & Marketing teams to increase customer value and maximise sales. 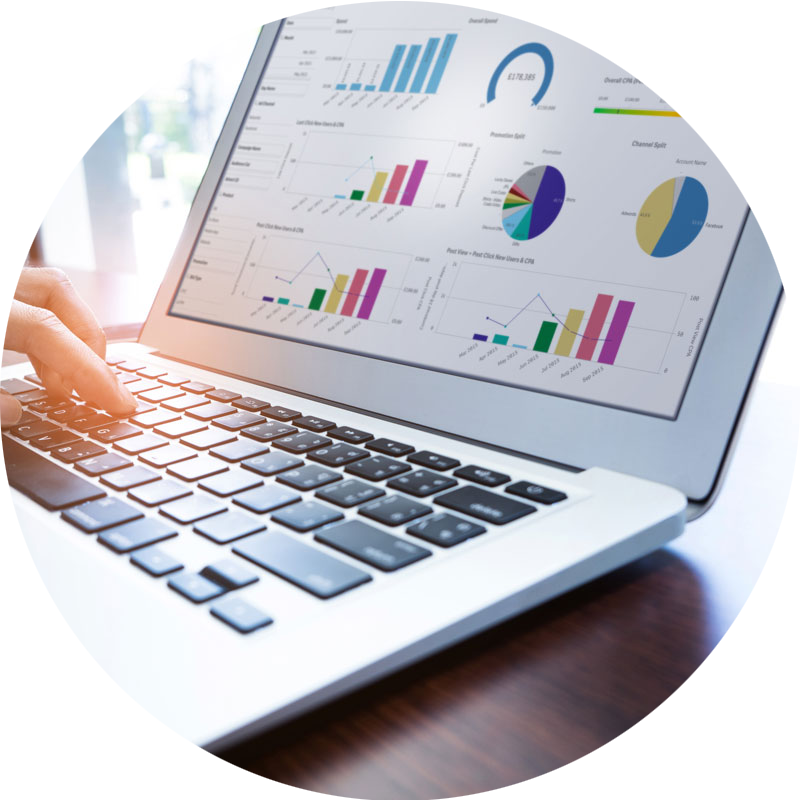 With a relentless focus on ROI and efficiency your Success Manager will audit your data sources and build a data flow that feeds into your Advanced Analytics Dashboard and through regular contact will ensure that the insights needed to power the success of your business are at your fingertips. Having the right data at the right time helps you make smart real-time decisions that power innovation and growth. Our advanced approach to analytics allows us to identify trends across multiple channels and helps your business improve its efficiency to keep the focus on the important part, growing the business. Want to optimise your ad spend to boost revenue? We've got you covered. Our team of digital advertising specialists go beyond data consultancy and work towards guiding your marketing efforts in pursuit of achieving your marketing objectives be it increase in lead generation or decrease in the cost of customer acquisition (CPA). We have are able to research, plan, implement your marketing campaigns and powered by the Hyphen Advanced Analytics platform we can quickly identify opportunities for performance improvement and continually optimise your digital marketing activity across all key channels through e-mail marketing, CRM, SEO, Paid Search (PPC), Paid Social.